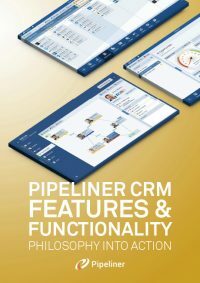 The first of our 5 points in the Pipeliner Selling System is Focus. The direct correlation of the salesperson’s Focus stage is Investigator on the buyer’s side. There are many statistics bandied about today about the buyer—one of them is that more than half a buyer’s journey is made before ever speaking to a salesperson. The potential buyer is researching, consulting other buyers, interacting with users, and beginning to form their own conclusions. The more you know about your buyer’s journey, the better your sales process will be. Today, buyers are investigators and explorers. There is some controversy over the percentage of the buyer’s journey made before interaction with a rep. But no matter the percentage, it’s clear that research is happening in advance of any contact with salespeople. Buyers are more educated than ever before and tend to inform themselves. How much know-before-you-go discovery happens in your particular industry? It would be well worth your company’s time to talk to some customers and buyers and find out. The more you know about your buyer’s journey, the better your sales process will be. Today, buyers are investigators and explorers. So when a salesperson first contacts a buyer (or vice versa) that the buyer is likely to be somewhat informed. The salesperson should know that, and also know where that buyer is headed once an investigation is complete. When encountering a prospect who is investigating, the salesperson needs to know whether this is a worthwhile opportunity, or not. The sales rep needs to be able to clearly differentiate between someone who’s “just looking,” and a qualified buyer definitely interested in a product or service. A salesperson needs to be able to sort out those differences right at the outset—not well down the road when the rep, the sales manager, and the company are actually counting on that sale to come in, and it doesn’t. A rep needs to know buying signals—what they would actually be for your product or service. Every rep should know them cold and be able to spot them a mile away. As the buyer is investigating, the primary thing they need is data. But not just any data—the right data. This is the point at which you’ll see buyers going through your website, accessing or downloading various materials, and watching videos and webinars. At this stage, you should help them in their investigation. Ask (either by email or by calling) if there’s anything you can show or provide, or if there are questions you can answer. Provide them with all the help they need. The idea is to gently but firmly move them into the next stage, Engage. If you can rapidly and completely satisfy the majority of their investigative needs, you will do so. We believe in the power of CRM and we believe in the power of education. 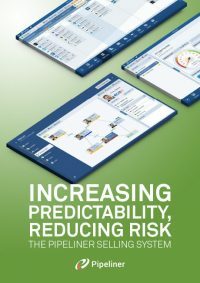 Make informed decisions and get the most out of CRM by educating yourself about the possibilities! You can visit our CRM Sales Reference Library and download all e-books for free! Focus also applies, as a stage, to the concentration of salespeople on the right opportunities. As anyone who has been there knows, a sales environment can be tough and demanding. Reaction to pressure can result in a number of patterns that are highly detrimental to a sales organization, and that increase the chances of an uncertain future in terms of sales targets and revenue. The first of these is that, in an effort to meet quotas, a salesperson may hang onto as many potential deals as possible, no matter how likely (or, more properly, unlikely) they are to actually close. This condition often manifests itself through “stuffing” the front end of the pipeline with a high number of opportunities with the hope that a high percentage of them will make it through. This is, of course, a very surface view of things. Without knowing the actual likelihood of deals closing, it obviously doesn’t matter how many of them there are—it’s a total gamble. Salespeople stop listening to what the customer is actually saying, and start hearing what they want to hear or interpreting everything that’s said in the most positive light. Another reaction to pressure is the salesperson who hears only what they want to hear from the prospective buyer. Salespeople stop listening to what the customer is actually saying, and start hearing what they want to hear or interpreting everything that’s said in the most positive light. They then elevate opportunities to a priority status which, in fact, are anything but. Both of these–and their endless varieties and other versions–also act as a distraction to sales management. The sales manager is focusing on deals that may or may not ever make it, instead of properly qualified bona fide opportunities. There’s really only one cure for such conditions and only one real relief for that beleaguered salesperson and the distracted sales manager both. That is focus. Many sales organizations, unfortunately, but the majority of their attention on the later stages of the sales process in an effort to bring in the deals nearest to closing. While in some cases they might “save the day” in terms of quota achievement, these 11th-hour measures are committed at the expense of the overall sales pipeline. The major focus in any sales organization should be at the early stages of the pipeline. An early focus means that, right off the bat, salespeople are taking advantage of the right opportunities because they are properly qualified. Your pipeline is leaner, but the opportunities contained therein have a higher probability of closing. You can manage valuable sales resources—reps and support personnel—properly, as you have a much more realistic idea of where they should be deployed. You’re able to qualify the right opportunities—and equally, weed out those that clearly don’t fit.